This is something we hear all too often when working with financial advisors. While a brochure website may have been acceptable in the past, your online presence is now one of the most important aspects of your business. This means it needs to be continuously updated and optimized to keep up with the latest trends and most current information. Not entirely sure what we mean by a “brochure website?” I think we can all agree that a brochure is a piece of paper that never changes, right? Your website should have the exact opposite effect. Meaning, it should be changing constantly! Brochure websites were widely popular in the early 2000s and were basically meant to be light on features and heavy on text. 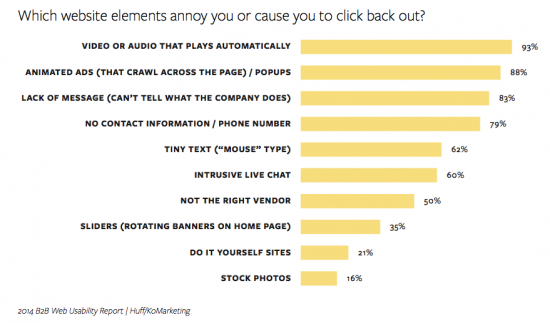 A study from KoMarketing Associates reveals the top reasons buyers choose to leave a website. Gone are the days of brochure websites. In order for your website to be a successful component of your business and digital marketing strategy, you need to step up your game. It’s true – clients and prospects won’t be satisfied with just another repetitive advisor website. 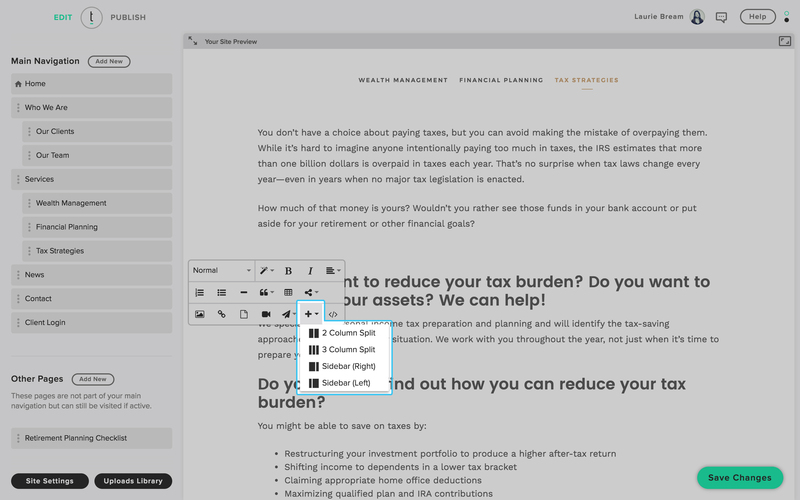 We built Twenty Over Ten to give advisors the power to create, manage and archive their websites with ease. There are so many tools out there to allow you to create awesome designs that reflect your firm’s values. When resources like this are available, there’s no excuse not to upgrade and update your web presence. So what exactly is the issue with brochure websites? This post is dedicated to outlining the problems with a static site and show you why having a dynamic, up-to-date website is a necessity for financial advisors. No one wants to spend much time on a website stuffed with promotional and sales information. This ends up feeling like you’re reading one long sales pitch. Which also easily comes across as a lack of authenticity. Your website should have personalized content that was written to uniquely display your brand. One of the main purposes of your website is to connect with your audience so clients understand exactly who you are and how you can help them. An overload of sales information leaves clients confused and frustrated instead of optimistic about working with your company. Twenty Over Ten client, Fairhaven, boasts a homepage with unique imagery, a logo and tagline to show off their brand. Good online marketing show clients how you are unique and why they should work with you. A cookie cutter website doesn’t prove to clients that you care about them or let them know that you are here to alleviate their pain points. It limits your ability to provide them with accurate information as your firm evolves and grows. Because of this, a brochure website is missing many crucial components of successful marketing. 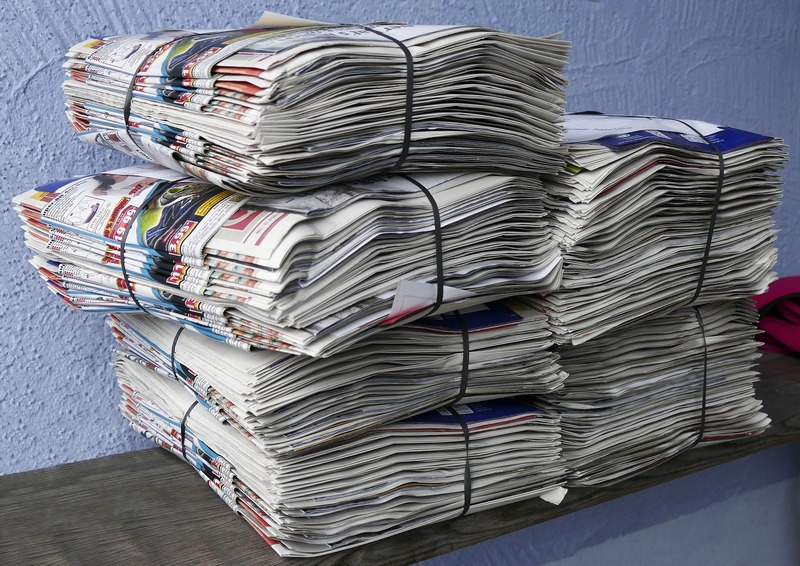 The reality is that writing content for print is vastly different then writing web content. You wouldn’t put your brochure on a billboard would you? We didn’t think so. Same goes for reusing brochure copy on your website. Don’t worry – if you’re stumped when it comes to writing web copy we’ve got you covered. If your business has stayed exactly the same since you started it, you’re part of a very rare crowd. For almost all advisors, there will be a lot of changes made as both the industry and your firm evolve. As your business grows and develops over time, your clients needs are going to change as well, and your website will need to address how you can continue to help them. So why would it make sense to have a website that lacks the ability to grow with you? Your website should essentially be a living, breathing marketing machine that changes along with your firm. A brochure website is only a “here and now” representation of your business, which leaves both you and your clients feeling limited. Just a few years ago, web design was limited by the amount of possible personalization. For example, digital marketing tools like social media were completely irrelevant to include on your website. 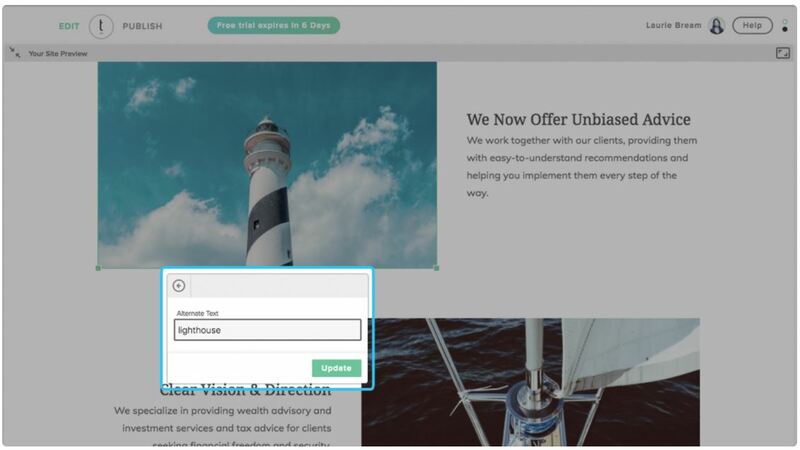 Now, over 80% of financial advisors use social media for business and it’s second nature to include these types of links and buttons on your website. It’s critical you choose a hosting platform where you can keep up with the rapid technological and industry advancements to satisfy clients and prospects and continue to accumulate business. Where do go when you want to find something on the Internet? Google of course. And, chances are, so do your clients. 89% of consumers conduct their product research using search engines. However, there are certain factors that can significantly increase your website’s ranking in Google searches. In Webmaster Guideline 1.4, Google makes it very clear that creating valuable content regularly is critical to their algorithm. This means that websites that commit themselves to new or “fresh” content gain favor to the search engine that generates over 1.2 trillion searches a year (that’s 3.5 billion a DAY). The Twenty Over Ten platform has many built-in SEO features to help boost your site ranking in search engines like Google. With a brochure website, there is no plan or way to regularly add fresh content. Because of this, you are limiting how successful you can be with keyword rankings and organic traffic. It also puts a ceiling on the ability for your website to generate links naturally, which is another factor critical to Google’s algorithm. You want every possible factor on your side when it comes to beating out the competition on Google searches, so this problem should not be taken lightly. Most advisors want to track the success of their sites by measuring ROI. And if you don’t, there’s something seriously wrong with your marketing efforts. Tracking and measuring your site’s ROI helps you determine which parts of your marketing are working and which may need some help. It’s difficult to make positive changes when you don’t know what to change. It also helps you focus your time and money on the most effective strategies for your firm. However, brochure websites have no way of accurately measuring ROI. 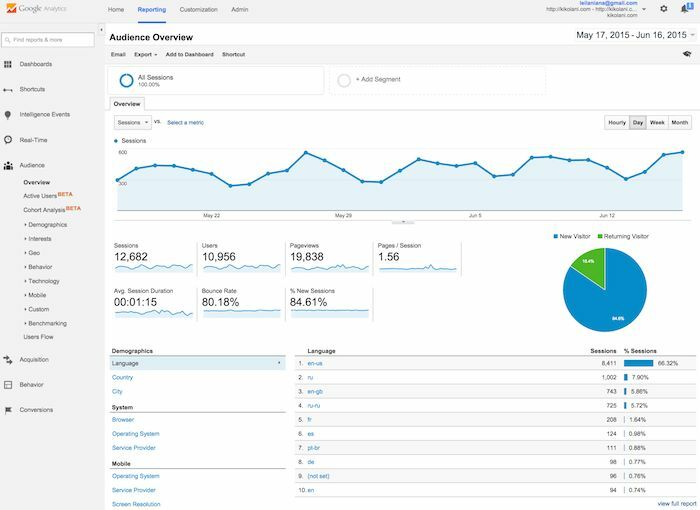 With the advent of Google Analytics, we can now gather an incredible amount of data to track your site’s ROI. This tools provides information not only on site visitors, but also on how content is performing, which key words you rank for and tons of other data points that will drastically improve your online marketing efforts. By using a brochure website, you’re not taking advantage of some of the cheapest and easiest ways to generate more sales. Our self-builder pathway is perfect for those who are tech-savvy, DIYers ready to hit the ground running. No credit card required to get started!